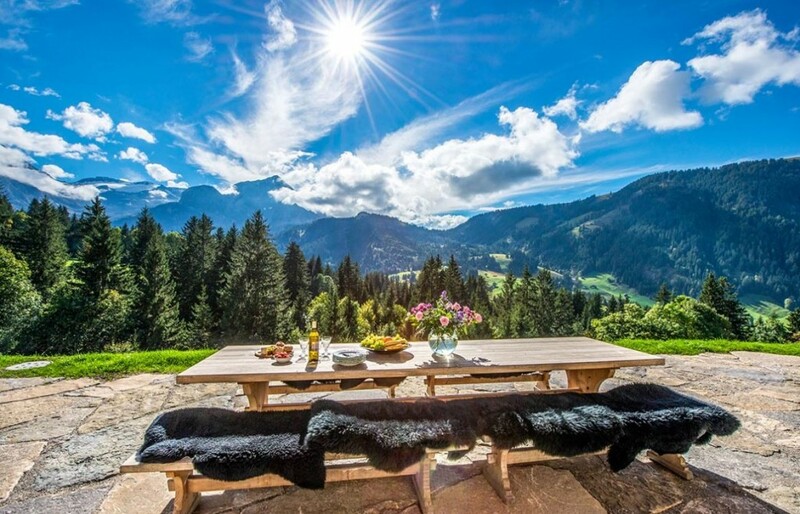 Start off your Switzerland escape by staying in one of these incredible Switzerland vacation rentals. This hand picked collection offers you the chance to have your very own mountainside chalet overlooking picturesque alpine villages and the majestic Alps. Of course, these are no ordinary chalets. Enhance your apres ski routine surrounded by the ultimate in rustic luxury. Unwind in your personal sauna followed by a relaxing massage. Or maybe you prefer a dip in the plunge pool. Either way, you can cap it all off with a glass of wine on your balcony that overlooks the Matterhorn. There is plenty to do in the summer months as well. Yes, you can still ski on a glacier, but you can also enjoy a round of golf, do a bit of hiking, or challenge yourself with some mountain biking. 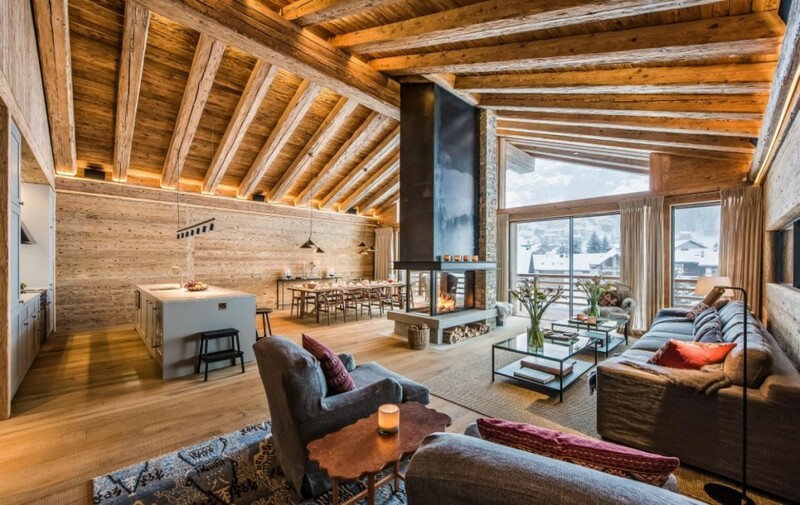 With chalets available in Zermatt, Verbier, Gstaad, and Klosters, these plush properties will spoil the senses. You’ll be so spoiled you won’t want to leave your home away from home, but be sure to enjoy the social scene and shopping. 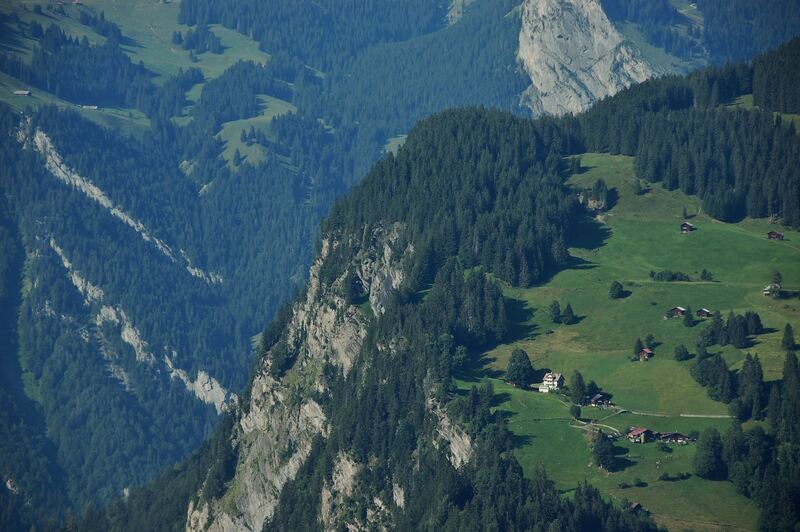 These Swiss hot spots are where you go to see and been seen. If an alpine escape is not your pot of bubbling cheese, splurge on one of Switzerland’s top rated city hotels in Geneva or Zurich. 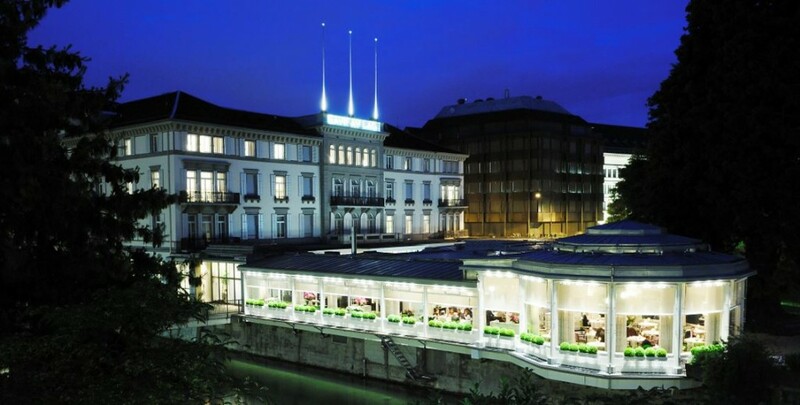 As Zurich is known as a hub for wealthy business travelers, a stay at their go-to hotel, Baur Au Lac, is a must. The hotel overlooks Lake Zurich, and while the entrance is a little hard to find, once you see it, you’ll know you are in the right place because of the fleet of luxury cars parked in the courtyard. Just outside of Baur Au Lac, the city is alive with the hustle and bustle of the business world, but there is no shortage of splurge. Visit the City district, where you can spend your day shopping along the famed Bahnhofstrasse, indulge in some chocolate truffles from confectioneries like Sprungli, and end the day with dinner and drinks at one of many trendy hot spots frequented by Zurich’s elite. Switzerland also has “meet in the middle” options, literally. Located in Central Switzerland, Interlaken and Lucerne offer a smaller city vibe, with big city luxury. 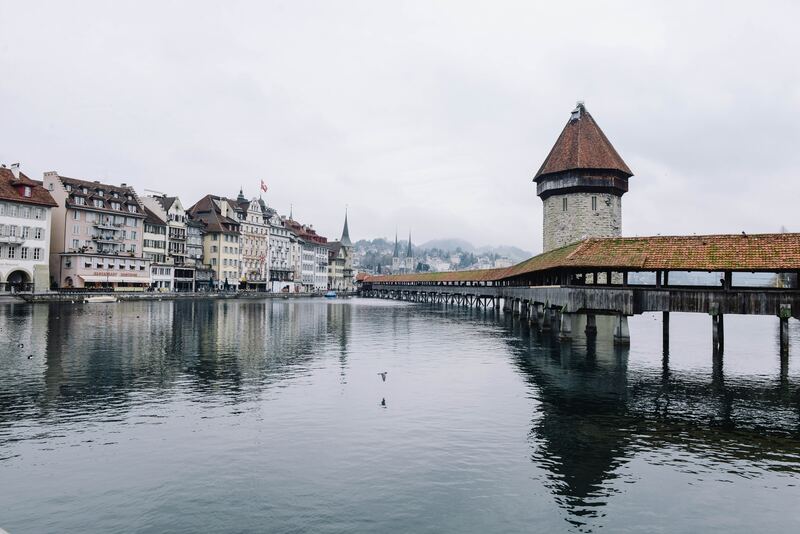 Lucerne is the larger of the two and offers a blend of history, with its preserved medieval architecture, and beauty, with Lake Lucerne sitting at the center of it all. Do a bit of people watching on the promenade adjacent to the lake, stroll across the city’s landmark, Chapel Bridge, or take in a few of the area’s museums. Be sure to stay at the Hotel Palace Luzern, which offers more suites than rooms. Enjoy the stunning lake and mountain views while dining al fresco and pamper yourself in the ultra exclusive Palace Spa, which features a giant bronze singing bowl that produces relaxing sounds that are sure to send you into a soothing trance. A short drive away is Interlaken, a resort town nestled between Lake Thun and Lake Brienz, and along the Aare River, which flows in between the two lakes. The color of the water catches your eye the second you see it, as the colors seem surreal almost as if you’re living in a fairy tale. This region is full of adventure – explore the many alpine villages that dot the mountains via a cog train, gaze in awe of the triple peaks Eiger, Monch, and Jungfrau, and visit the “Top of Europe”, which is on the peak of Jungfrau. It will make you feel like you’ve conquered the world. Complete your fairy tale with a stay at the upscale Victoria-Jungfrau Grand Hotel. The Victoria Jungfrau sits majestically in the middle of town, but don’t let the traditional exterior fool you. The hotel mixes the old world with luxurious modern comforts, which is certainly a welcome treat after a long day exploring the surrounding region. Don’t forget to book a treatment or two at the Spa Nescens. The spa is focused on ground breaking scientific anti-aging techniques and SENSAI Select, which focuses on Japanese wellness techniques. Sounds indulgent and relaxing, doesn’t it? After exploring all of the indulgences that Switzerland has to offer, you’ll find yourself planning your next luxury escape before you even return home. Whether you choose to rent an opulent chalet in Verbier to spoil yourself after a challenging ski run, pamper yourself at the spa with a massage in an exclusive suite, or shop for a new Swiss watch along the Bahnhofstrasse, your luxury escape to Switzerland will ooze style and indulgence. It just so happens that there is nothing wrong with that. This post is sponsored by Luxury Retreats – the ultimate in luxury escapes!